After your visit to Creully, take the D 12 towards Bayeux. After twee kilometres, turn right to Bazenville (the D 87). In front of the church stands an interesting monument, in the shape of a wing from a Spitfire fighterplane. 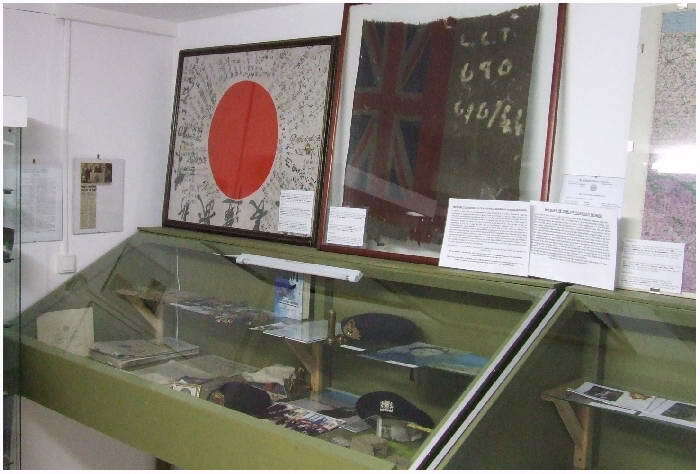 It is placed to remember the temporary airfield ALG ‘B2’, which went operational from 16 June till 15 August 1944. From this ALG (Advanced Landing Grounds) the Canadian RAF squadrons 403, 416 and 421 were operating. Also was here the 83rd Group Controle Center for the 2nd Tactical Air Force located from 7 June till 10 August 1944. Return to the B 87, and head for Ryes. 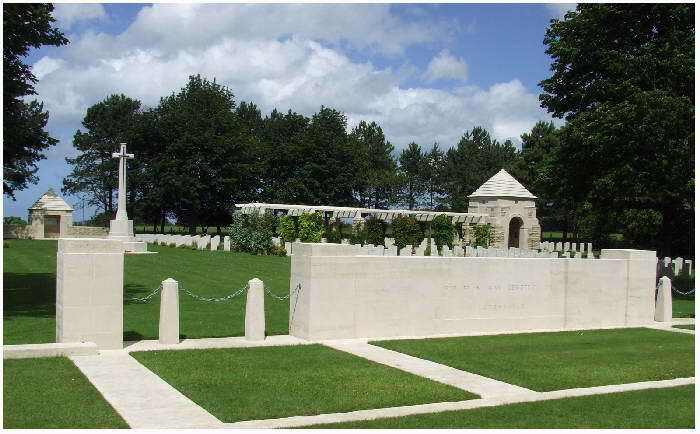 After a kilometre you can make a stop on the right side of the road, at the British war cemetery. This was the first burial ground to be created, on 8 June 1944, for the fallen men. During this period the burial sites were made there were the fighting made the most casualties. In this cemetery lay 630 British, 21 Canadian and 1 Australian soldier. Beside the Commonwealth victims, there is a Polish soldier buried here. In a separate section are 326 Germans buried. 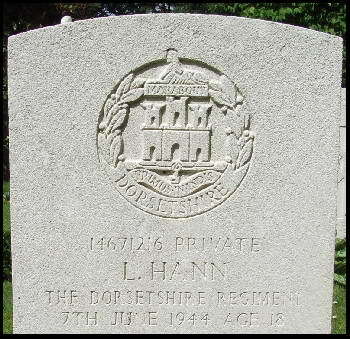 One of the youngest victims in the cemetery of Bazenville, is the 18 year old Private L. Hann, of The Dorsetshire Regiment, who got killed on 7 June 1944. 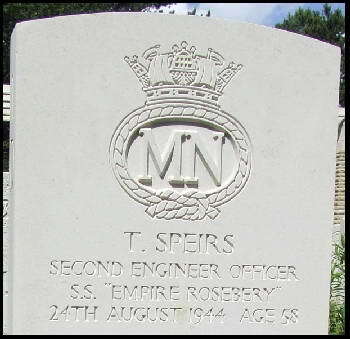 The oldest victim is the 58 year old Second Engineer Officer T. Speirs who perished on 24 August 1944 on board of the SS Empire Rosebery. The highest officer in this cemetery is Major A.C.W. Martin, of The Dorsetshire Regiment, who was killed during the landing on 6 June 1944, he was only 27 years old. Return to the coastal road D 514 and head for Asnelles. If you enter Asnelles from Ver-sur-Mer, take the first road to the right, the Rue de Débarquement. Are you coming from the west, take the street on your left when you past the 'Gold Beach Evasion' building. Drive towards the boulevard and park your car near the large casemat of Wn 37. 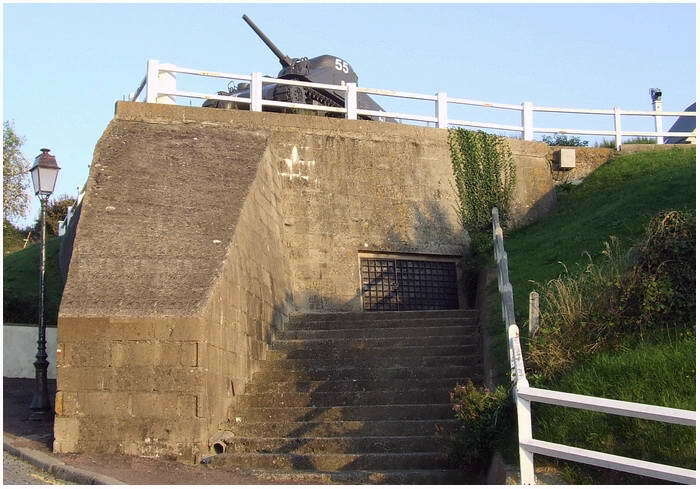 This casemat, an R 677, had an 8,8cm gun that was responsible for eliminating six British tanks that landed here. The Sexton under command of Sergeant R.E. Palmer, 147th Field Regiment (Essex Yeomanry), finally put it out of action from a distance of 300 yards. But before this could be done, there was a lot of fighting to be done. This casemat had her gun pointed at the beach, and not as you would expect to sea. 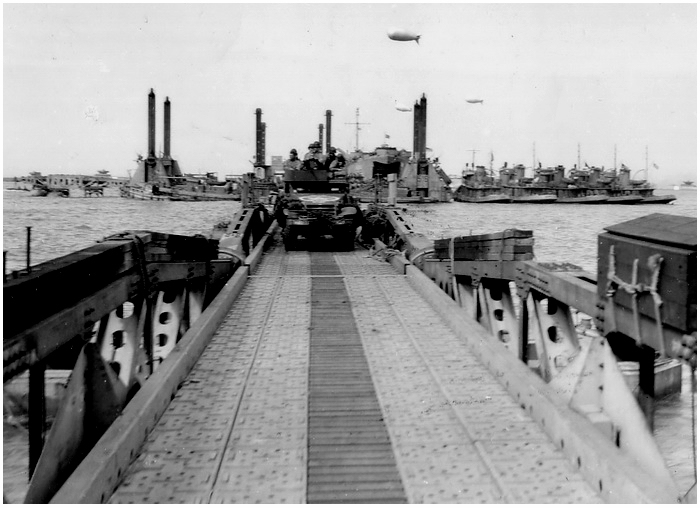 The Germans reckoned that the invasion would take place during high tide, so the landing craft could float over the obstacles. 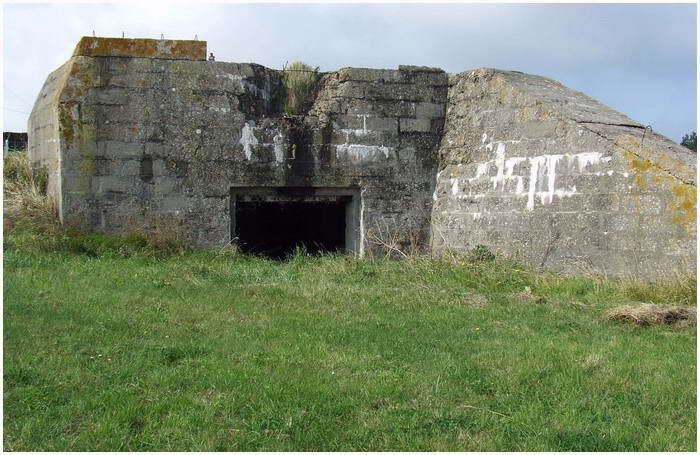 The gun was therefore pointed towards a small section of beach that was left during high tide (See also ’the bunker page’). Fortunately for the first landing party, it was low tide and the rotation of the gun over the beach was only a few degrees, otherwise more casualties had fallen to this gun. Unlike the Americans, the British made good use at the beaches with the 'Hobart Funny's'. 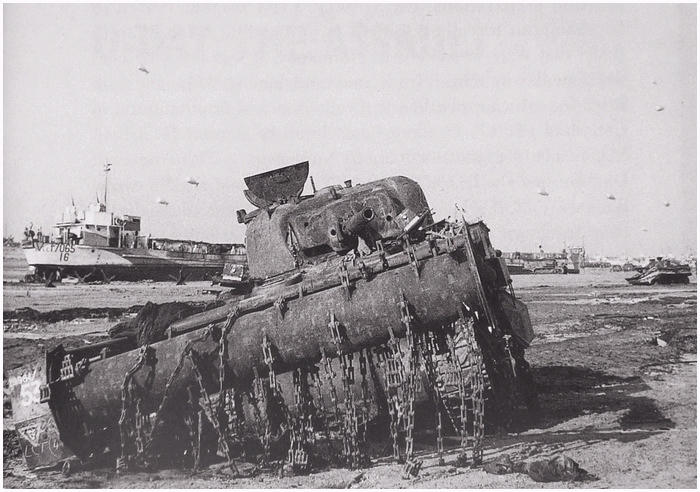 Because of heavy defence fire from the Germans at Le Hamel three CRABS (mine-sweeper tanks) were destroyed. But one managed to sweep a clean path for the soldiers. This sector, ‘Jig Green’ (west), was a hard one for the 231st Brigade. Not only German fire made a lot of casualties, also the rough sea and the weak soil where the vehicles had to come in, made the landing worse. Nineteen tanks went down the drink before they could reach firm ground. Others ran stuck in clay pits, or sank into the sand. Later, when the tide came in, a lot of beach obstacles were hidden from view, and many landingcrafts ran into them. Another big problem was the loss of leading officers, which created more chaos. German shelling, not just from Wn 37, but also from artillery from Meuvanis, was holding up the traffic from the beaches. During this shelling, Major A.C.W. Martin lost his life. 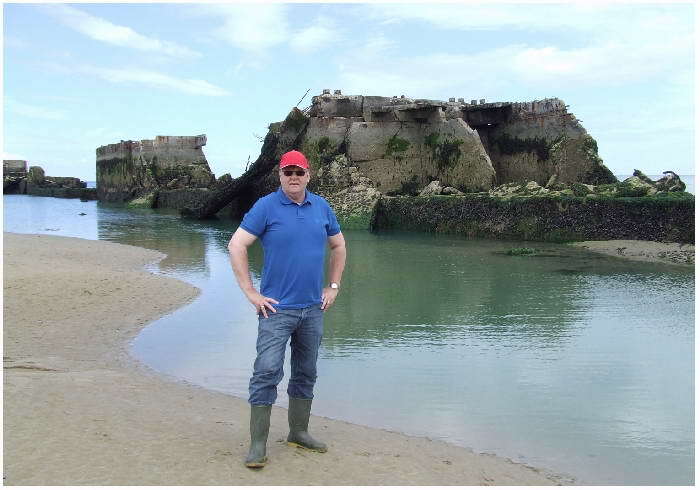 At low tide, as shown by your host, you have here a magnificent view on the 'Phoenix' segments of the Mulberry harbour of Arromanches (see below). This is the most eastern point where the Mulberry harbour ended. 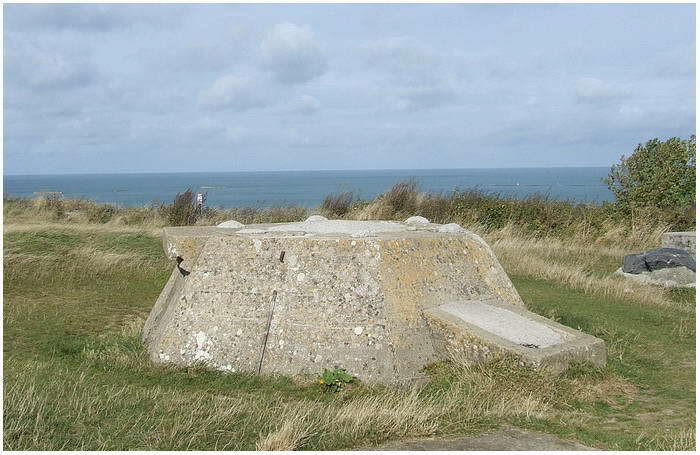 At the end of the boulevard, a few hundered meters towards Arromanches, you find an interesting little casemat (from Wn 38). This is a Bauform Vf600v which ones had a 5cm KwK 39L/42. Also was this gun protected from shells coming the sea and could only give fire over the beach. Return once again to the D 514 and head for Arromanches. When the road is climbing to the top of the cliff where the village of St.Côme-de-Fresné has been built, take the second road to the left (just before you reach the top of the cliff). Via de Rue de Fontaine make a circle. 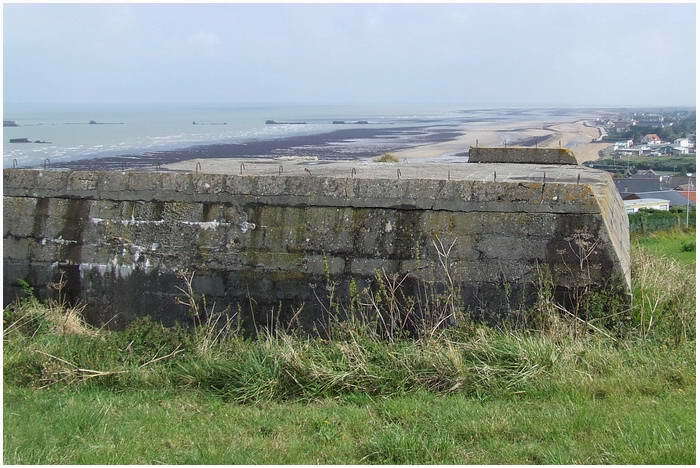 Halfway you’ll see on the left a large casemat which had a gun pointed towards the beach of Le Hamel and Asnelles. From this point, the former Wn 39, you have a great panoramic view towards Asnelles. Return to the D 514 to continue your trip to Arromanches some kilometers to the west. On your right you pass the parking lot for the Arromanches 360 theater. In this theater a movie is shown around the public and takes the viewer back to June 6, 1944. I like to recommend this movie to every visitor. Next to the parking is the terrain where once a radar post was located under command of the Kriegsmarine (Stützpunkt 42). A last artifact from that period is the concrete foot that had once carried the Seeriese FuMo 214 Würzburg radar. 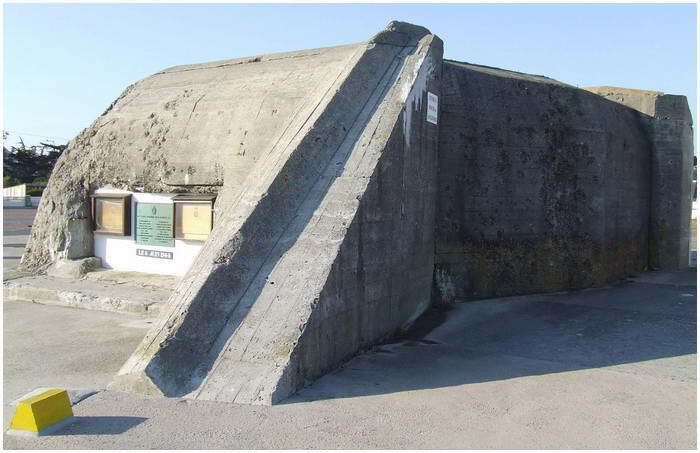 To protect the radar station against air raids, three 2cm Flak 28 Oerlikon guns were placed around the complex. 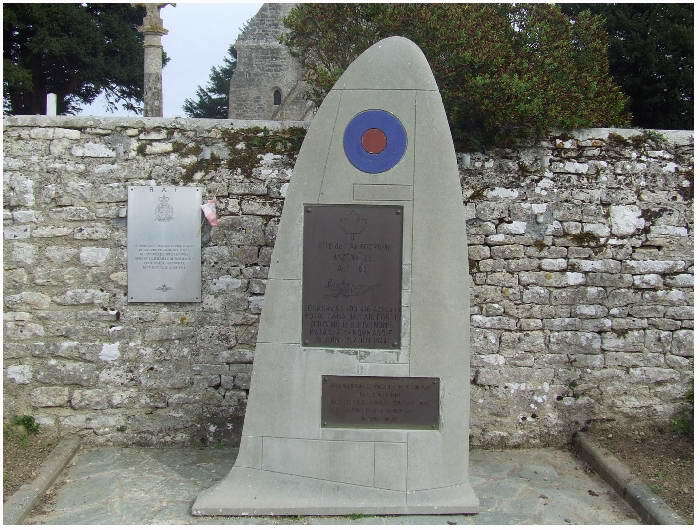 The Seeriese FuMo 214 near Arromanches was destroyed in June 1944. 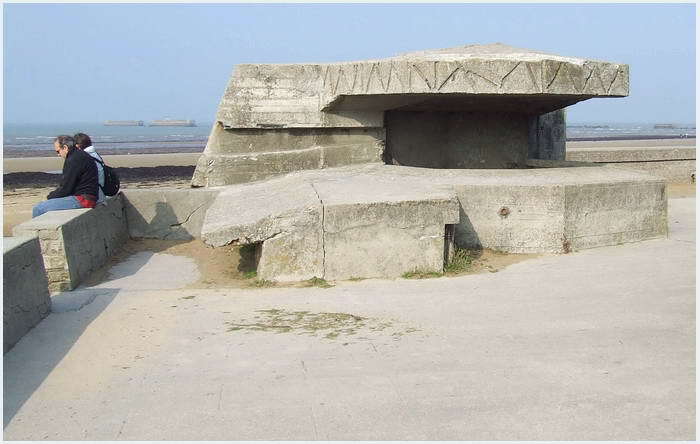 From this spot you have a nice view on Arromanches and the last relics of the Mulberry Harbour. Maybe a tip;… if you decide to walk from this point to Arromanches be aware of the steep path down, be prepared that the climb back a though one is. By the way, in the summer parking space in Arromanches is difficult. Arromanches was liberated in the afternoon of June 6th 1944 by the 1st Battalion Royal Hampshire Regiment that came ashore at GOLD Beach. Despite of the heavy barrage of navy fire, 'just' six civilians lost their life. 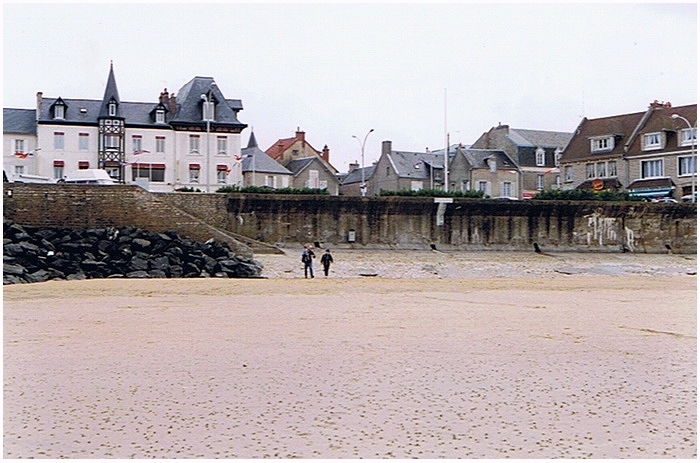 You may start your introduction with Arromanches at the Museé Du Débarqement at the boulevard. There is a parking lot, but is small and often full (be early, especially in the summer). Personally I’m not that charmed of the museum, I think there are nicer ones in Normandy, but they have a great moveable model of a Mulberry habour, and gives a nice inside view how the system worked. To the right of the museum is a slope that leads towards the beach. 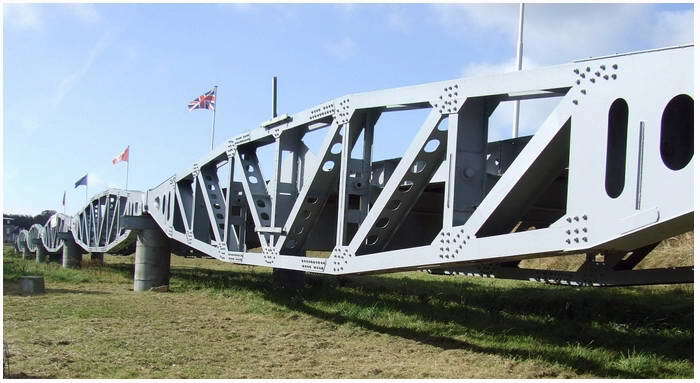 On the slope is a segment of the moveable road (near Vierville-sur-Mer, Omaha Beach, you pass later, there is a longer stretch consisting of multiple segments). A must see: the "Liberators Museum - Normandy 1944". 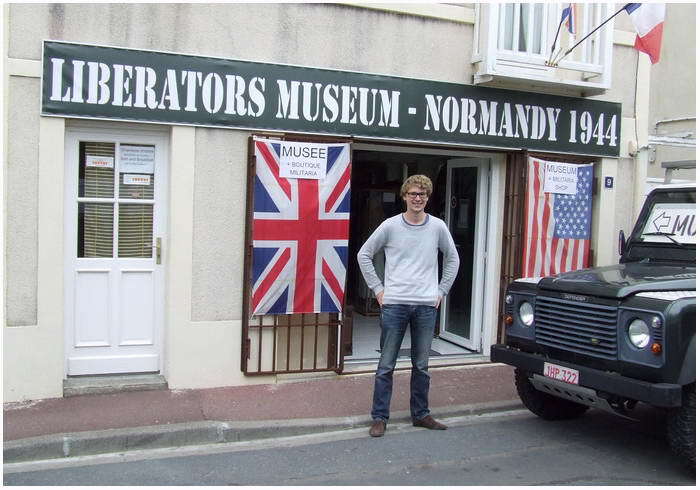 A real treat in Arromanches is the recently opened museum, "Liberators Museum - Normandy 1944". It is located at 9 Rue Colonel René Michel and is a must see experience. It is run by the very enthusiastic Dutchman Floris Kok with help from his father Hans (who runs a B&B beside it). They are eager to lead you around the exhibits. These were exclusively donated by the veterans who landed on or after D-Day. Floris Kok in front of his 'Liberators Museum - Normandy 1944'. The start in 2012 was relative small, but for 2013 great plans lay in store. At least a new exhibition will be on show on the first floor. 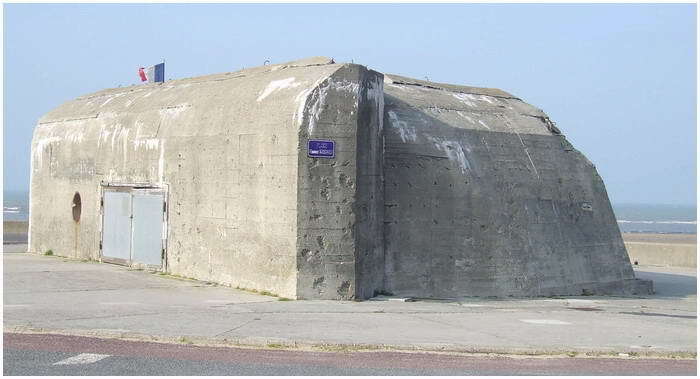 This will become one of the museums that, during a return visit to Arromanches, you will visit more than once. Opening hours are from April during the summer daily from 10.00 hours till 18.00 hours. 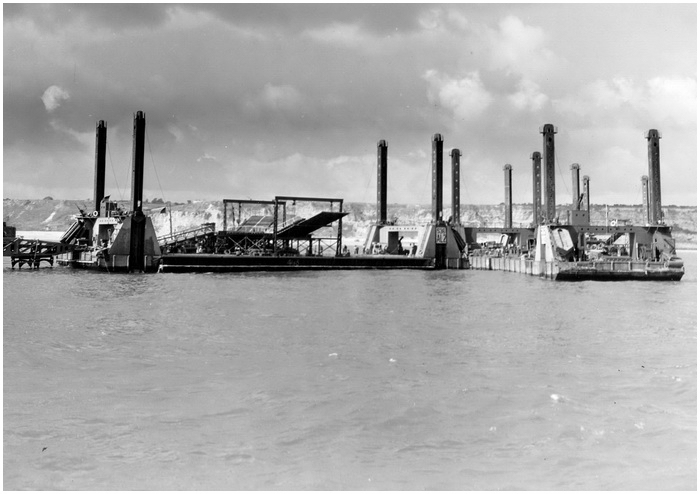 Because there was a shortage of harbours in the landing area, the decision was made to built two artificial harbours, one at OMAHA Beach and one in front of Arromanches. From 1943 some 37.000 men were working in the south of England on these harbours. Other beaches that were to be used for offloading goods were UTAH, JUNO and SWORD. To protect these beaches from the strong waves, these beaches got a protective wave breaker. This 'screen' was made up from 60 old ships, with the code name 'Gooseberry's. The first of these ships was sunk on 7 June. 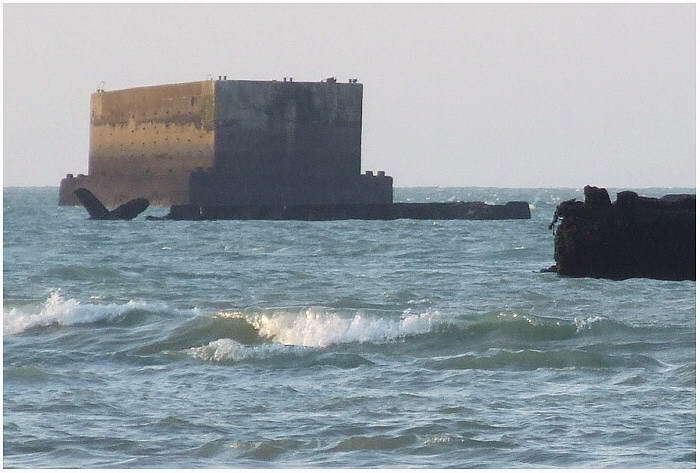 The artificial harbour 'A' (OMAHA Beach) and harbour 'B' (ARROMANCHES) had a basis of 146 caissons ('Phoenix') that made the shape of the harbour and the offloading docks. Sixty of these 'Phoenix' elements had a water transfer of 6000 tonnes. The first to arrive was on 9 June. On June 18th some 115 'Phoenix's' were already sunk and the harbours were ready for use. On that first day some 24.412 tons ammunitions was brought to shore. To bring the unloaded material to shore from the docks they used a long metal road, a 'Whale', that was placed on pontoons, the so called 'Beetles'. The unloading docks, the 'Spuds', were floating and had a slide system of poles that were placed in the sandy bottom so it could move with the tide. The tidalsystem is clearly shown on this picture. 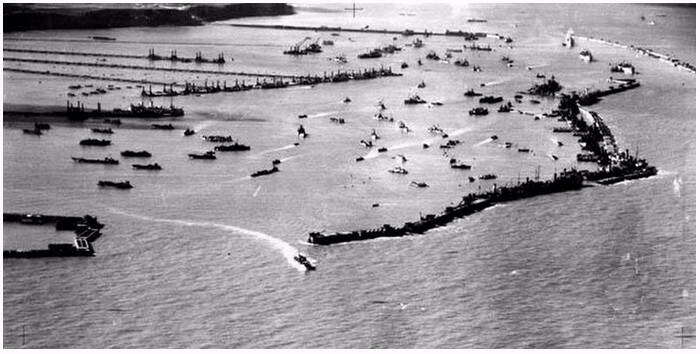 The complete Mulberry harbour consisted of 500 towed parts with a weight of 1½ million tonnes. 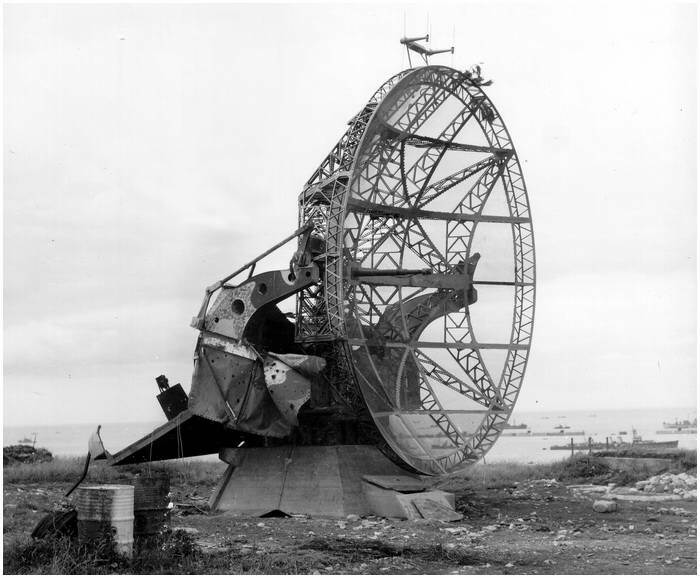 19 June, after its first operational day, a severe three day storm hit Normandy and destroyed the harbour at OMAHA Beach. 22 'Wales' that were on there way, were lost in the high waves. 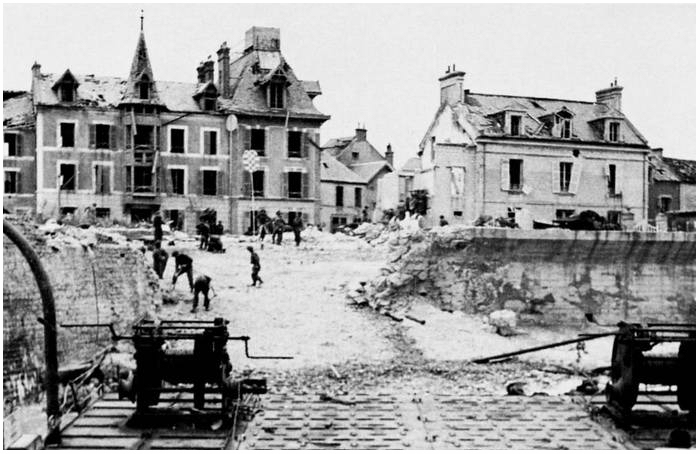 Usable parts of OMAHA were brought over to Arromanches. This harbour, Port Winston, handled over 39.000 vehicles and 220.000 men. Next to the museum at Arromanches a single road segment ('Whale') can be found. On the beach at Arromanches you may still find some 'Beetle' elements, a short distance from these elements is a 'Spud, unloading dock, beached. The screen of 'Phoenix' elements gives a good impression of the size of this artificial harbour. When you have descended from the theater 'Arromanches 360' into Arromanches, then you came across the M4A2 Sherman tank. If not, a short walk towards it is worth the climb. The Sherman is placed atop of a casemat, a H 612, which belonged to Wn 43. In June, 1944 a 10,5cm gun GebH 332 (f) was placed in this casemat. Nowadays a steel door is placed in the slit for the barrel of the gun. This page brings you to Bayeux and the north vicinity. 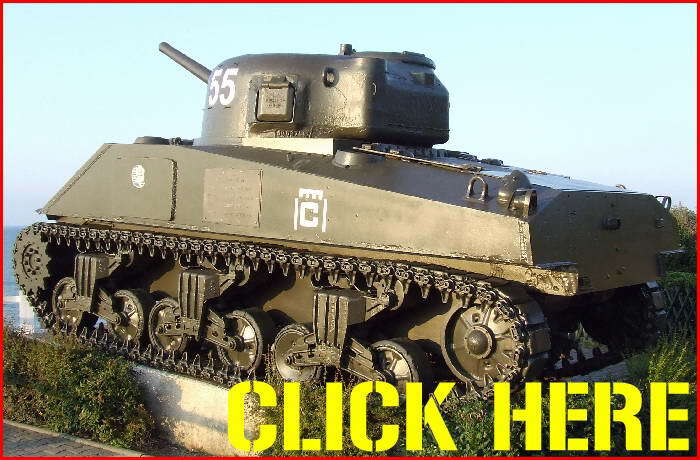 You will visit the 'Battle of Normandy Museum' here and you pay a visit to a museum near Port-en-Bessin where many heavy items are displayed that were salvaged from the sea. And then further on, to the Battery of Longues.